What Are Apollo's Special Powers in Greek Mythology? Apollo was most famous as the god of archery and the god of prophecy and oracles. He was the bringer of plagues and illnesses, as seen in Homer's "Iliad," in addition to medicine and religious healing. Apollo was the greatest of all musicians; he oversaw poetry and dance. He embodied physical and intellectual light, beauty and reason, and his oracle at Delphi was considered the greatest in the ancient world. Apollo represented the epitome of male youth in its prime: clean-shaven, unmarried, intelligent and thoughtful, well-versed in all skills and in control. He did not delight in the hunt like his twin sister Artemis but flung his arrows at monstrous creatures, such as the Python who originally inhabited Delphi, and others who stepped beyond the proper bounds of order and society. Apollo, ever youthful, eternal and undying, was often seen as the opposite of Dionysus, a symbol of continuous death and rebirth who removed inhibitions, stirred emotions, and drove followers and enemies alike to insanity. Apollo derived his powers from this ancient perception. One of his primary epithets was "Apollo of the silver bow" due to his skill and precision with each arrow. His arrows always dealt a killing blow unless he sent a plague with them. In the Trojan War, Apollo sided with Troy and sent a horrible plague to ravage the Greeks. Apollo was the one who guided Paris' arrow into Achilles' heel, killing the Greek hero. 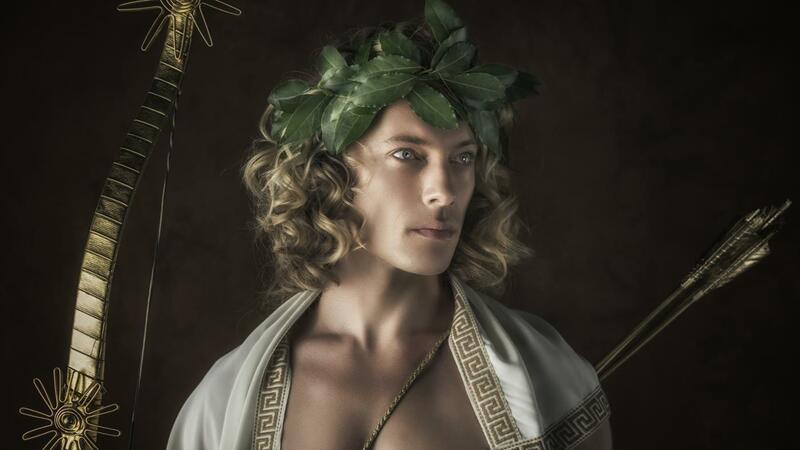 What Are Some Traits of the Greek God Apollo? What Are Some Examples of Legends? What Were Zeus' Special Powers?